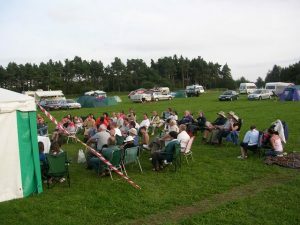 The first “Star Festival” hosted by Scarborough and Ryedale Astronomical Society was held in 2001 at Adderstone Field, Dalby Forest. 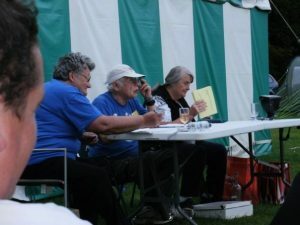 The annual event, now known as “StarFest” is well attended by both society members and visitors from other Astronomical Societies around the country, who come along each year to take advantage of Dalby’s dark skies. In January 2013, Dalby Forest was awarded Milky Way class Dark Sky Discovery status by UK Dark Sky Discovery – We expect this accolade to attract even more amateur astronomers to our star camps in the future. “…the Dalby forest night appears as good as “Kielder” and definitely darker than the Kelling Heath sky in Norfolk…” – Mick Phipps. Above all, it is a chance to get together with like-minded people, enjoy the dark skies, and share the hobby. Event dates, further details and booking information can be found on the StarFest 2019 page.